A little while back, I talked about being a total tarot newbie. I shared my experience of picking a deck that suited me and getting to know the craft. I was, and perhaps still am, The Fool. Now, having spent a few months with my tarot cards, I’m feeling more confident in my ability to read and interpret the cards. I still have a long way to go – there is SO much to interpret, after all! – but I wanted to share the ways in which I’ve been developing my tarot skills. Who knows? It may help some fellow beginners! It seems obvious, but you have to practice regularly in order to become a better tarot reader! After I’d spent a few months getting super into reading the tarot, I had a little dry spell. Life gets busy, there are other hobbies to pursue… you know how it is! When I picked up my deck again after a few weeks away from it, I found I’d lost the knack a bit. It’s just like exercise or learning a language. You develop little by little, day by day. If you work on your practice every day, you’ll find yourself improving all the time. But if you drop it for a while, it’ll feel like starting all over from scratch when you pick it up again. I suggest making time for a short reading, perhaps just one card, each morning – not only is it a good way to get your mind in the right place for the day, but it ensures you’re constantly improving your abilities as a reader as well. 2 – Try using different decks. I’ve been using the Wild Unknown Tarot and the Rider-Waite-Smith decks, which cover both the modern and traditional. Having more than one deck to work with, and the ability to compare cards across vastly different decks, made me see the cards in a new way and allowed my brain to understand rather than memorise what each card was trying to say. Having bought a second deck, I found that the pure enjoyment of having something new and pretty to play with made me want to spend more time doing readings. 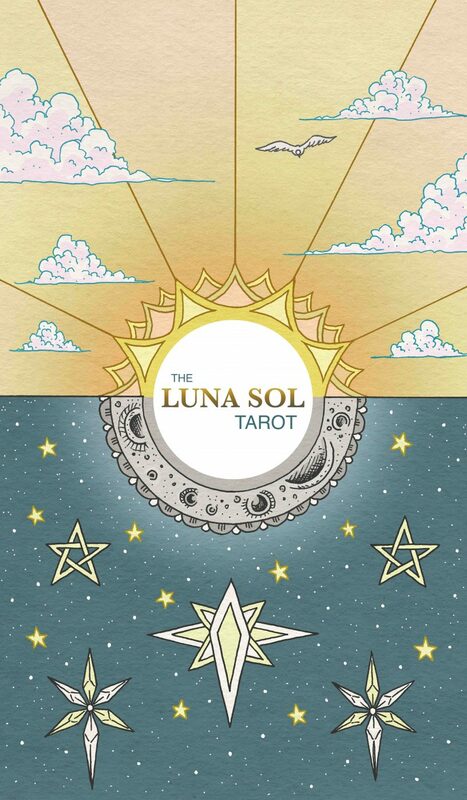 I keep seeing new decks that I love the look of as well (on top of the two amazing decks Liminal 11 is bringing out, the Luna Sol Tarot and the Modern Witch Tarot), so it looks like I’ll have a house full of tarot decks soon! 3 – Use a different guide … or go without! Like changing decks, consulting another guide can give you a fresh perspective, and it challenges your mind to think more critically about a spread rather than just reciting one reader’s interpretation. 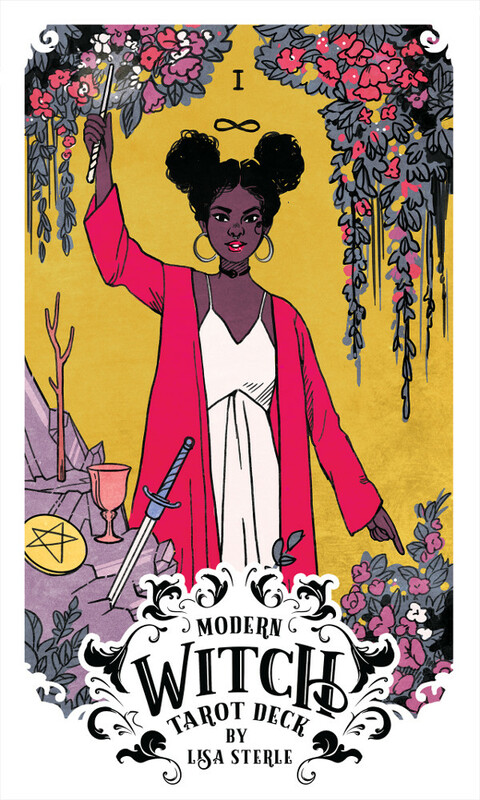 So far, I’ve used the Wild Unknown guidebook, Michelle Tea’s Modern Tarot, Jessa Crispin’s Creative Tarot (kindly loaned to me by a sister who was pleased to see me learning the craft!) and the Rider-Waite-Smith guidebook. I also use websites like Biddy Tarot. Between them I’ve gained a more well-rounded understanding of the many, many meanings that can be hidden within a tarot deck. But don’t get too bogged down on someone else’s interpretations! I’ve also found that going without has led to some great results – I was better than I thought I was! It has certainly challenged me to think harder about the spread in front of me, rather than just reciting from a book. It’s like when your parents take the training wheels off your bike – you find you can totally do it without them, you just have to trust your balance and your instincts! 4 – Change up your questions. Asking the right questions is actually one of the things I find the hardest, but asking the right questions in the right way has a major impact on your ability to give a fulfilling reading. It took me some time to work this out! First off, asking yes/no questions really won’t give you anything to work with – certainly nothing with any depth. ‘When…?’ questions are unlikely to give you any clarity either. ‘Will…?’ or ‘Should…?’ questions are kind of missing the point, in my opinion. This just isn’t something the cards can help you with – while they may help guide you in deciding whether or not you should or will do something, they won’t determine your fate. You have to eventually make that choice yourself. What energy do I need to focus on / be aware of in order to be successful today? Where can I find the drive to overcome a problem I’m dealing with? What should I be aware of if I take my planned course of action? How can I be more supportive to a friend who needs me? What is standing in the way of my achieving my goals? Why is the current course of action not bringing the desired results? How will I know when I’ve done enough? Like the first tip in this post, your ability to ask good questions will come with time and practice. As you better understand the responses you may get from a reading, you’ll better understand which questions you need to ask! Tarot cards can be very personal, but it’s when you start to open up that it becomes really exciting. I was thrilled when a new friend got super excited about my tarot deck and wanted me to give her a reading. ‘Remember, I don’t really know what I’m doing…’ I started to say, but the responsibility of giving someone other than myself a reading gave me a new respect for the nuance and intuition required to do it well! Reading tarot spreads for others gets you out of your own head and helps you to understand that the same card can hold different meanings for different people. Luckily, this friend lets me practice on her a lot, which has helped me develop my confidence and skills immensely. In my last post, I highlighted the importance of having a bit of fun with your tarot readings, and I still firmly stand by that. Enjoy being playful with your spiritual journey. Enjoy laughing with a friend when you’re not quite sure what that three-card spread is supposed to mean. It’s all about what makes sense and works for you – for me, it’s the enjoyment of playing a game that encourages self-reflection. 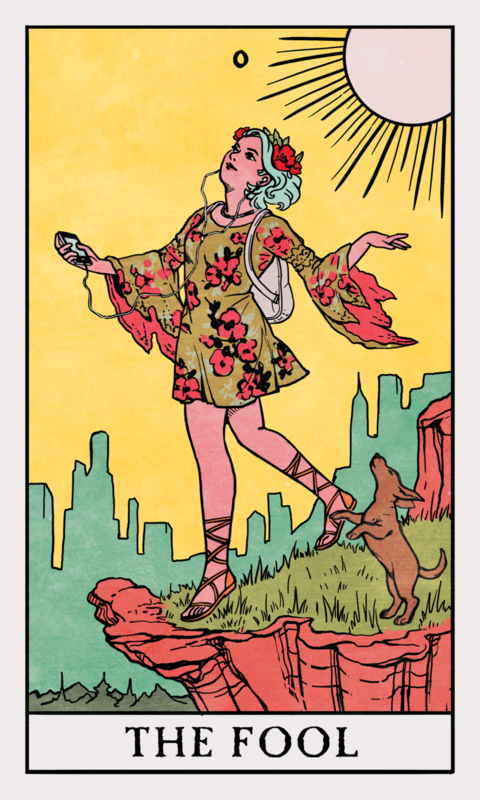 Besides, having fun with your tarot cards will make you want to spend more time using them, which will make you a much better reader over time. 7 – But also do it when you really need it! But it’s not always lots of fun, is it? Up until recently, tarot readings had been quite playful for me. But as I encountered a bit of a difficult life problem, I found myself in need of clarity. Talking it out wasn’t helping but staying inside my own head was only making it worse. So, for the first time, I picked up my tarot deck while I was in need of some serious answers. I was amazed at the way the changed the way I read the cards, as well as the meaning I derived from the spread. Taking it all a bit more seriously because I really needed to helped bring about an incredible change to my ability to read the tarot! I hope you’ve found my advice useful! We all have different experience and unique journeys, so I’d love to hear if any of the above have worked for you, or if you’ve tried something different that I didn’t include here. Let us know in the comments or on social media! Really very useful advice. 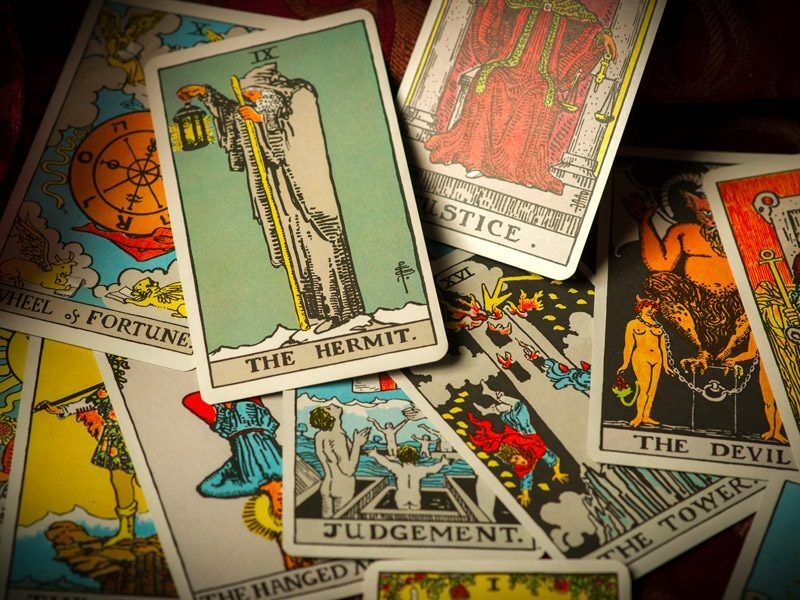 Tarot reading could be fun but at the same time, we must know what situation we are in and how to get help from it. Thank you for all the wonderful explanation. Helps a lot.